Presenting families with a full season schedule at registration makes a fantastic first impression. Putting all of your season’s dates on a calendar now will help dancers’ families and your staff plan their year, and they will absolutely appreciate it. So pour yourself a cup of coffee, print out a calendar, and let’s get started! Some events are unavoidable: they happen every year. Put those annual events on the calendar first: studio open date, school vacations, holidays, picture days, recitals, the day recital tickets go on sale, fall registration day, and last day of classes. Add anything else that happens in your studio every year. Got it? Let’s move on. Next, and this can be the tricky part, put yourself on the calendar. 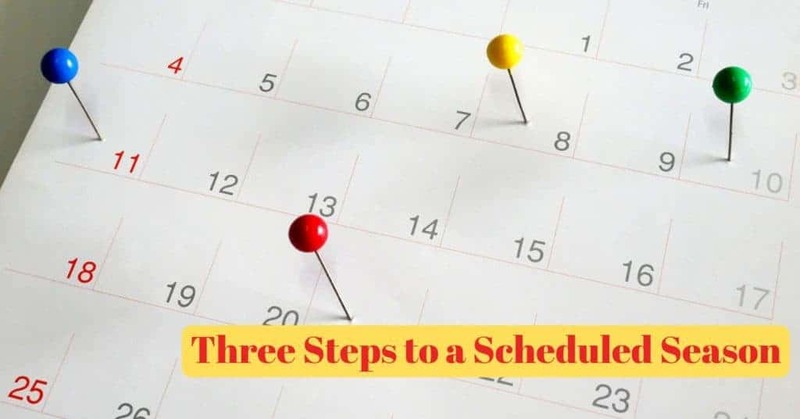 Add all of the dates that are important to your life: birthdays, anniversaries, children’s school start/finish dates, graduations, weddings, religious holidays and celebrations, children’s performances, sporting events, and school events. Most important, get at least one personal vacation on that calendar—not a working trip but a real vacation, whether with family, spouse, friends, or solo. Hey, don’t ignore that—I mean it! This is not a suggestion—it is required. Block out some time away from the studio on your calendar. You don’t have to decide where you are going yet; just set aside some time now! Now comes the exciting part, where you get to decide how amazing you want your season to be. Often, it’s best to tackle this step with your team. Get the creative juices flowing and involve as many of your staffers as possible—this is the good stuff! First, make a list of every program you run at your studio: recreational, competitive, preschool, toddler, special needs, teen assistants, boys, etc. Next, brainstorm two events for each program, so all ages and levels receive equal attention. Don’t let planning events for advanced students (competitions, workshops, conventions, etc.) take over. Go ahead and put two dates for your advanced kids on the calendar first, then stop! That’s enough for now. Move on to your school’s other programs. Halloween parties, princess teas, and superhero visits are great for preschoolers. Dance parties, community event performances, and studio contests are exciting for recreational students. Everyone loves a field trip to a show or dance movie! Often it’s the outside-of-class events that truly connect kids to your studio and staff, so get creative planning events for all your students, and encourage them to tell their friends how much fun they are having. Once your schedule is set, print it out, add it to your student and staff manual, and feel proud for being super organized. And while you are enjoying that feeling of pride, grab your luggage—you have a vacation to pack for! Teri Mangiaratti owns In Sync Center of the Arts in Quincy, Massachusetts, which opened in 1996 and today welcomes more than 1,000 children into its dance, music, and art programs.